Myvitamins You Go Girl is a general weight loss supplement that may help increase fat burning and help with energy levels. This supplement contains B vitamins B6 and B12, plus the mineral chromium, but despite the Myvitamins brand name, this is not a vitamin supplement. Instead, You Go Girl contains green tea and caffeine – a good combination for weight loss as this can increase the speed of the metabolism. No comments Published Mar 19, 2019. You Go Girl is a supplement that claims to support metabolism with a blend of female-friendly nutrients, so we guess the aim is to improve general health and vitality while you lose weight. 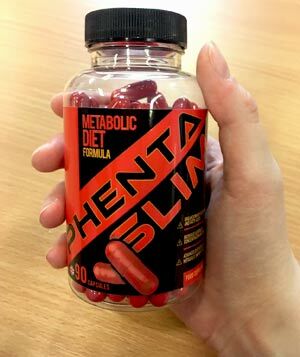 The product advertising does not make it very clear just what it is supposed to do, but is this supplement worth taking anyway? Myvitamins is a supplement brand of health products and vitamins aimed at improving all aspects of health such as joint care, pregnancy, digestion, stress, and more. You Go Girl is aimed at female users trying to lose weight and become healthier. 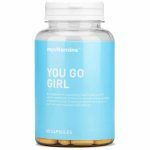 Myvitamins You Go Girl is a general weight loss supplement that may help increase fat burning and help with energy levels while you are dieting or following an exercise plan. The supplement is not expensive or very strong, but you may find that it helps support your own efforts. There is an issue with some of the product information that lists additional ingredients but without any direct contact details, we were unable to clarify this point, which we feel has let this supplement down. You can buy You Go Girl directly from the Myvitamins website, but it is also on sale from Superdrug and Boots as well as Amazon. Each bottle contains 60 capsules or one month’s supply, but you can also buy 180 capsules at a time via Amazon. If you choose to buy from Myvitamins, you may be able to access a discount code offering 55% off the listed price. What are the side effects of Myvitamins You Go Girl? Judging by the listed ingredients, side effects seem unlikely and unless you are very sensitive to caffeine, we can’t see this supplement doing you any harm. Side effects of caffeine include anxiety, jitteriness, insomnia, and headaches. Some people experience vivid dreams while taking L Theanine and if this happens to you, it will depend on the type of dreams you have as to whether this is a serious side effect or an added bonus! If You Go Girl does contain Siberian Ginseng side effects are more likely and may include changes to mood, depression, and changes to heart rate and blood pressure. If this supplement does contain raspberry leaf, you may notice increased urination because this ingredient is a diuretic. How much does Myvitamins You Go Girl cost? You Go Girl is not expensive. If you buy directly from the Myvitamins website, one bottle of 60 capsules (one month’s supply) costs only £10.49. At the time of writing, there is a discount code on offer which reduces this by 55% making the bottle around a fiver! Standard UK delivery is a further £2.49. Shipping to many overseas countries costs £3.99, with USA delivery £5.99. You can check out shipping costs on the website before you buy. 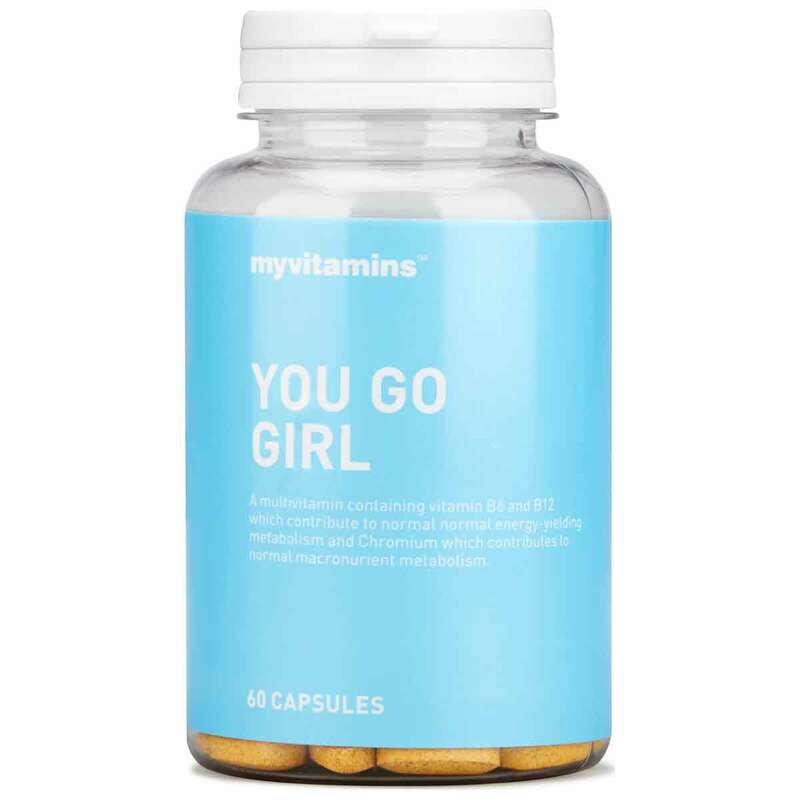 You Go Girl is also on sale via Amazon UK, where 1 x 60 capsule bottle costs around £16.82 and 180 capsules around £37.00 depending on the seller. The supplement is also on sale from Superdrug and Boots for the same price as shown on the Myvitamins website. You Go Girl is a supplement aimed at women. It does not come with any great claims about weight loss, but instead, claims to support a healthy metabolism and increase energy levels and vitality, helping the body cope with the rigours of weight loss. The supplement contains B vitamins B6 and B12, plus the mineral chromium, but despite the Myvitamins brand name, this is not a vitamin supplement. Instead, it contains green tea and caffeine – a good combination for weight loss as this can increase the speed of the metabolism. You Go Girl contains amino acids L Theanine and L Tyrosine. The final component is black pepper extract which may increase the body’s absorption of ingredients making them more effective. Confusingly, the product information also states that You Go Girl contains Siberian Ginseng, Cayenne, and raspberry leaf, yet these are not shown on the ingredients list on the official website. Check out the ingredients tab to find out more. Myvitamins is a UK supplement brand with a wide product range including multivitamins as the name suggest. 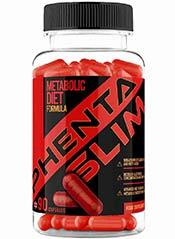 The official website is high quality and easy to navigate and many of the supplements are not overly expensive. If you buy directly from the official site you can get 55% off your first purchase. You can also find Myvitamins supplements on sale on the high street from Superdrug and Boots where they are on sale for the same price. There is some confusion over the ingredients list. 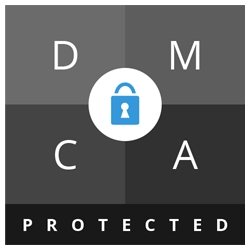 Very few contact details on the Myvitamins website – you cannot ask questions and obtain an immediate reply such as live chat or a phone line. Myvitamins comes from a private company called The Hut (part of The Hut Group, who also manage Myprotein) which was founded in 2004 and is listed on Bloomberg. According to Bloomberg, the company operates worldwide in many sectors including health beauty, sports equipment and more. What does Myvitamins You Go Girl claim to do? Does Myvitamins You Go Girl work? You Go Girl is not going to have a very strong effect, but you may find it does help your weight loss a little. If you use it to reinforce a diet or exercise plan, it may help you stay focused and it might provide some support. Green tea and caffeine can help increase the metabolism slightly although if you habitually drink coffee and tea you may not notice much difference. The amino acids L Theanine and L Tyrosine may help with energy levels, and although chromium is only required in trace amounts, it does help with insulin and blood sugar management. It is hard to know whether vitamin supplements have much of an effect but taking extra B12 and B6 is certainly not going to do you any harm. The formula does contain black pepper which may help increase the way some of the ingredients work, but you cannot guarantee this effect really works. Chromium (40 ug): Chromium is a trace mineral which means that the body requires very little of it, but it is still very important because it helps the way the body uses insulin which keeps blood sugar levels stable. Research suggests that chromium is useful for people with diabetes type 1 and type 2. There is not much evidence for chromium helping weight loss but here in safe levels, and there is some evidence that it may help cholesterol levels. Vitamin B 12 (7ug): Vitamin B12 is essential to the body and is only obtainable by diet. It is present in animal-derived products such as meat, fish and dairy so deficiency can be common in people with restrictive diets such as vegans. It is important for many purposes including brain function, healthy blood cells, and the nervous system. Serving size here is low compared to many supplements. Vitamin B 6 (1.67mg): Important for brain health and the nervous system, B6 is involved in many processes in the body, mainly concerned with the metabolism of proteins. Serving size here is in line with the recommended daily allowance. Caffeine (51mg): The world’s favourite stimulant! And it can help weight loss, increasing the metabolism and of course energy levels but as we all know effects wear off as we become accustomed to use. Combines well with green tea extract. 51mg is the equivalent of approximately half a cup of instant coffee. Black Pepper Extract (1.67mg): Black pepper contains a natural chemical called Piperine and this can increase the bioavailability of other ingredients, making them more easily absorbed by the body. L Tyrosine (66.7mg): Amino acid made in the body and also present in proteins such as cheese. L Tyrosine is important for mental performance and can increase alertness. L Theanine (41.67mg): Amino acid which is strongly present in tea and the part that gives tea the relaxing, yet reviving, qualities we love. In higher quantities, it can promote the release of alpha waves in the brain – the state that we experience when we daydream. L Theanine is good for relaxation without causing fatigue or sleepiness. Confusingly the product information claims to include Siberian Ginseng, Cayenne pepper, and Raspberry leaf as additional ingredients, yet these do not show up on the label. This is of concern because both Siberian Ginseng and Raspberry leaf are known for side effects and in our opinion, will spoil the otherwise safe ingredient profile of this supplement. Judging by the listed ingredients, side effects seem unlikely and unless you are very sensitive to caffeine, we can’t see this supplement doing you any harm. Some people experience vivid dreams while taking L Theanine and if this happens to you, it will depend on the type of dreams you have as to whether this is a serious side effect or an added bonus. If it contains raspberry leaf, you may notice increased urination because this ingredient is a diuretic. Not suitable for individuals under 18. Avoid if you are pregnant or breastfeeding. Speak to your doctor before taking supplements if you have an underlying medical condition or are taking prescription medication. Nothing like this in the market. Great ingredients, perfect for busy mums. Not all feedback is completely positive. I love this! I don’t get any side effects and does wake me up during the day; my skin is clearing up a bit too. But my mum takes them also (I got two three month tubs, one for me and one for my mum) and they give her the shakes, we think it’s the green tea in them as I drink green tea regularly but she doesn’t. But overall it’s a really good multivitamin tablet! I’ve used these tablets for two months now and they have given me awful spots on my face. I have also been feeling very bloated. I have stopped taking them now and hopefully my skin will begin to clear up. Very disappointed, will not be buying again. You can buy You Go Girl directly from the Myvitamins website and it is available to overseas customers as well as people based in the UK. You Go Girl is also on sale via Amazon UK, as well as High Street stores Superdrug and Boots. We quite like Myvitamins You Go Girl. This looks to be a reasonable supplement that may only have a slight effect but when you are trying to lose weight, some slight support may be just what you need. Don’t expect results to be earth-shattering, but you may find it works for some users. If it doesn’t, it will not have cost you an arm and a leg in finding out. However, we do have some concerns. There is confusion over the true ingredients list, and that fact that we have been unable to see the label or contact the company by phone or live chat has meant we cannot guarantee exactly what is in this supplement. We love the listed ingredients, but those additional components mentioned in the advertising are of concern because they may cause side effects. In addition, we would have liked to have seen some independent customer feedback or a customer money-back guarantee. In our opinion, this supplement looks OK, but is not good enough or effective enough. We do not recommend Myvitamins You Go Girl to the Watchdog readers. How does Myvitamins You Go Girl compare to Phentaslim?